While consumers may be curious about the best types of car washes for their new cars, entrepreneurs looking to break into the car-wash business often question what the best car-wash structures are for new businesses. Just as drivers have many car-wash styles when they clean their automobiles at home, aspiring business owners have an assortment of car-wash types to choose from for their location. Whether you’re looking to add a complementary service to your current business or you want to establish a brand new car wash, you need to learn about the different types of car washes you can install at your location. By investigating the options, you’ll be able to choose the kind of wash that will work best on your property. 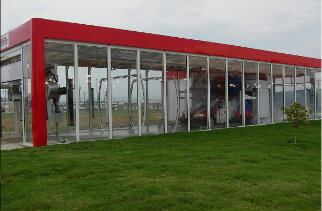 Choosing between car-wash structures is an important decision. To make the right choice, you’ll need to study the demographics in your area and learn the types of car washes that nearby business motorists prefer. You’ll also need to examine the limitations of your physical property. An automatic car wash is a popular choice for many business owners because the structure washes cars quickly and doesn’t require a regular attendant on the clock. To use an automatic car wash, a consumer will pay at an automated terminal and drive their car into a wash bay. The motorist will then put their vehicle in park. Next, rollers move cloths and a high-pressure spray over the automobile to clean it. 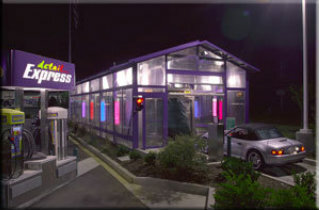 While many automatic car washes can only accommodate one car at a time, New Horizons makes long automatic-car-wash buildings in addition to smaller versions. With the greater space provided by a longer automatic car wash, two cars can be washed simultaneously, which can increase your business revenue. Regardless of whether you get a one- or two-car automatic car wash from New Horizons, it will get the job done quickly with little customer input. 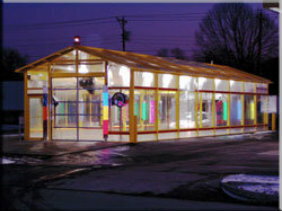 A tunnel car wash is one of the most popular car-wash structures for new and established businesses alike. A tunnel car wash resembles the automatic style in that a driver will pull their car into the wash themselves. Unlike an automatic car wash where a vehicle remains stationary as it gets washed, a tunnel car wash involves a conveyor belt that moves a car through various wash stages. While a tunnel car wash requires more space than an automatic car wash, it often provides a more complete washing experience. It’s also a great way to complement an existing automatic car wash. To learn about the tunnel car washes New Horizons constructs, contact New Horizons now! A self-serve car wash is exactly what its name implies — a car wash where motorists can wash their own vehicles. What’s the difference between using a self-serve car wash and washing a car at home? When drivers use your self-serve car wash, they get to use your equipment and supplies instead of buying their own. Customers pay to use a self-serve car wash at an automated terminal, which means self-serve washes require very little work self s from business owners beyond maintenance, cleaning and restocking. Just as we manufacture standard and custom automatic and tunnel car washes, we also design and construct eye-catching self-serve car washes. 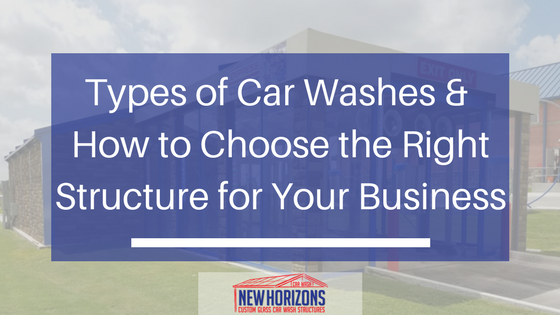 To learn about our car washes or find help choosing between structures, contact New Horizons today.